The Good Sports Magazine Show accentuates the positive side of sports on and off the competitive playing fields that goes beyond the stats, scores and the headlines.. The Good Sports Magazine Show features role models and true athletic heroes who take their success seriously facing challenges and victories sharing their testimonies of how faith has been an integral part of their professional sports world. Sports owners, business executives and coaches are also featured with their work for God’s Kingdom as they impact our communities with their faith, serving, philanthropy, teamwork, integrity and excellence in leadership. The Good Sports Magazine Show is hosted by sportscasting veteran and devout Christian, Carl Foster, and airs live Minute: M-F 8:30am & 5:30pm and the Magazine Show airs weekly from 6pm-7pm ET Mondays on over 40 FM stations in the state of Florida and worldwide streaming via the Internet at www.gracenetradio.com. 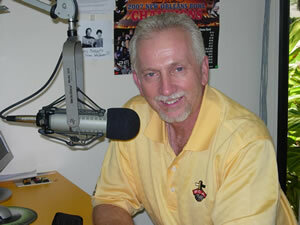 Carl Foster is the host/producer of The Good Sports Magazine Radio/TV series as well as Sports Director for Grace FM. He is the Executive Director of MatchPoint Ministries, Inc. and also serves on the Board of the Gold Coast Fellowship of Christian Athletes (FCA) and the DeVos- Blum Family YMCA in Boynton Beach, FL. Carl is a veteran sports journalist and radio/tv host/producer for over three decades with shows that have aired nationally on: CBS Sports; ESPN; CNN; Fox Sports; SunSports; SportsChannel; Prime Sports Network; Tennis Channel; Comcast Sports Southeast (CSS) as well as local broadcast stations in Ohio and Florida.